The school have celebrated the Catholic School Week but due to the harsh condition of the weather, the kids only enjoyed two days of it. There were three days school cancellation which I am sort of glad because they get to stay at home with me. I always worry that they would get sick when the weather is very bad. It does not, however, stop us from having fun. I decided for us to play outdoors on one of the school cancellation. We went out at our backyard with our fur babies and just made the most out of it. Lots and lots of snow fight. The snow wasn't packable so we couldn't make a ball so we just threw snow at each other. Our fur babies had a good amount of exercise chasing each other. We were all covered with snow so when we got inside the house, I washed everything right away and the two jumped in the hut shower to warm up their body. We also brought with us our bunny. He's been inside our home since Winter started. He seemed to enjoyed it as well. It was fun watching him hp and bury himself in the snow. I wish I could be like my kids. They don't mind the cold weather. I had to get inside the house to warm my hands because they were painful. But these two, did not mind the freezing temperature at all. They were rolling around the snow like it's the greatest thing lol. I am glad that they had fun. I had so much fun also even though I was the target the whole time with the snow lol. At least, I captured the memories. This is to show Daddy how much we miss him. I wish that my husband can totally retire but our kids are still young and we need to provide for them. I am just thankful that I get to stay home and take care of them. We don't have to go out and leave the kids to someone else's care. ahhhh! so much fun in snow! love how you captured all those precious moments of your lovely Burritos and adorable fur babies. wow! enjoy na enjoy sa playing in snow. Me, solve na akong gumawa ng halo-halo. Sis Rose, your kids and my kids will get along real well during the winter. They will have a blast outside playing the snow. I'm glad you guys were able to make the most of the arctic vortex that has been our entire country for so long. Great photos! Although I am mentally done with winter for this year, I enjoyed the fun in your photos! The action shots were amazing! Looks like everyone, pets included had some fun in the snow. I miss getting the day off of school because of snow. It was like you found out , jumped around a bit, then got dressed and either called or went to visit friends on the street to play in it. Look at all that snow! I would love just one winter where the snow is everywhere! Awe, I love the pics with the dogs too...so sweet! Looks like so much fun! Wow they are definitely enjoying the white stuff. I love when they are home with me too. I love your photos, you make snow look like so much fun. We don't get snow here. 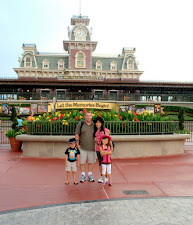 It's great that you can share your memories online and stay home with the kido's. Snow is SO much fun for kiddos! Can't say I'm a fan lol. In Canada we get lots. At least the kids get to enjoy it! aww! Did the rabbit have as much fun as your kiddos in the snow? What a fun day outside! We haven't had hardly any snow it Utah this year. Send some our way! I love the action shots of the snow. The kids look like they are having so much fun in the snow. It was such a cold winter and I can not wait for the Spring. Looks like you guys had fun! Especially the bunny :) So glad the snow is melting though. We never really had tons of snow here in the south. I really wish we had an experience like this. Looks like so much fun! I always enjoy playing in the snow with my son. Awww so fun! I wish we have snow in the PH too.. asa ako, haha! It's amazing how kids don't feel the cold the way we do. I could never roll around in the snow the way I did as a kid. They certainly had a lot of fun. And I can relate. My son don't get cold too like we do. He would even wear shorts inside the house during winter. I used to get so excited for snow days when I was a kid. Your children look like they are enjoying theirs as much as I did mine! Kids, snow and dogs! What fun! I remember how the kids played like this in the snow when they were young. Now, I am left with snow and the dogs. Teens boys can be brutal when playing in the snow. I stay away and indoors now.